Having a party or high tea? 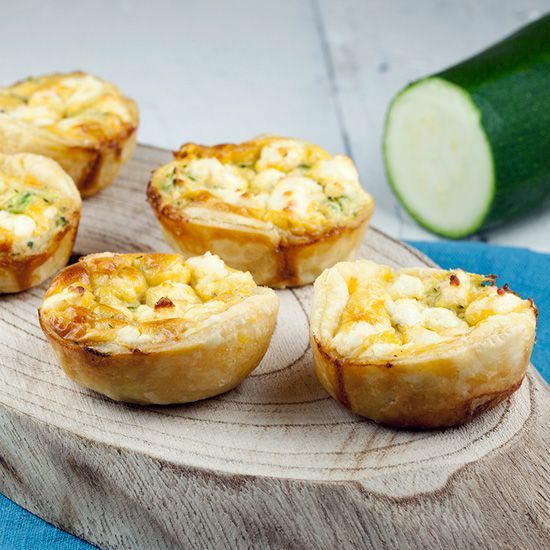 Mini zucchini quiches are tasty and easy. 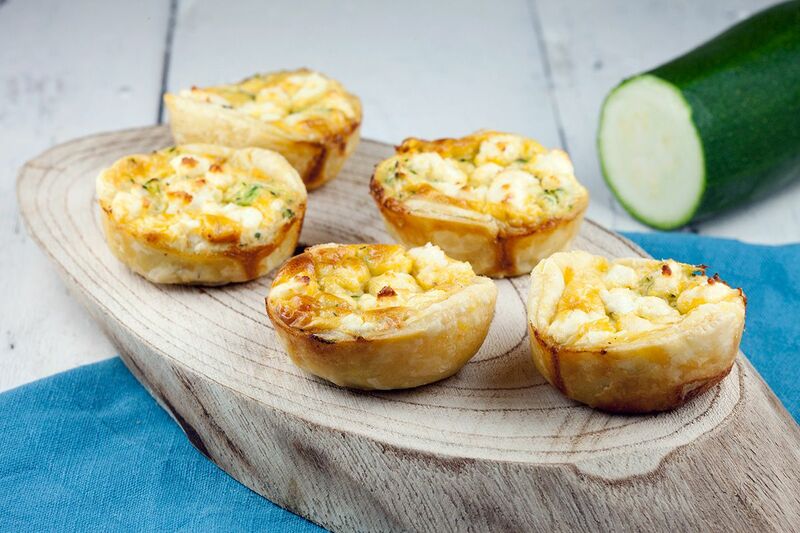 These cute little savory pies are ready in half an hour, so what are you waiting for? GRATE the zucchini, you can use a food processor to make it even easier. WHISK the eggs and cream in the medium-sized bowl. ADD 1 teaspoon of smoked paprika and the grated zucchini and cheese. SEASON with pepper and salt. COAT the muffin tin with sunflower oil. DUST your work surface and rolling-pin with flour and roll out the puff pastry squares until they’re doubled in size. Now you can cut out 2 rounds per sheets with the round cutter. PLACE the puff pastry rounds in the muffin tin. 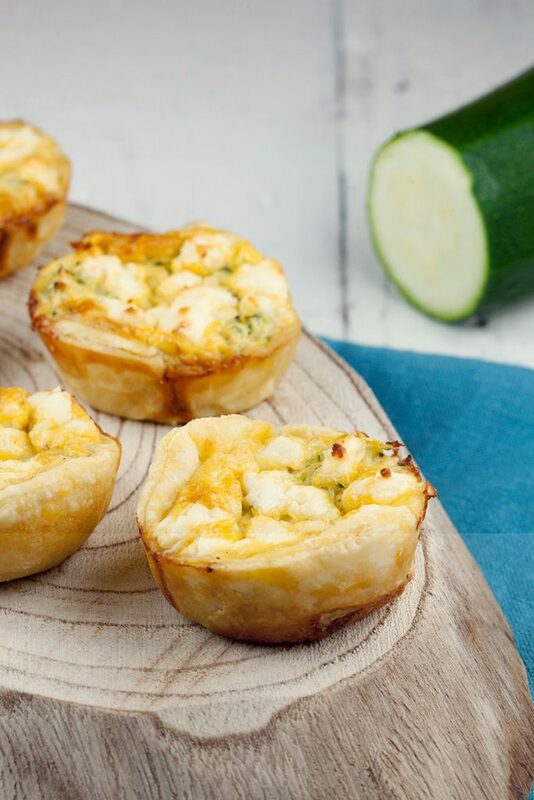 FILL the muffin tin with the zucchini mixture and finish it off with crumbled feta. 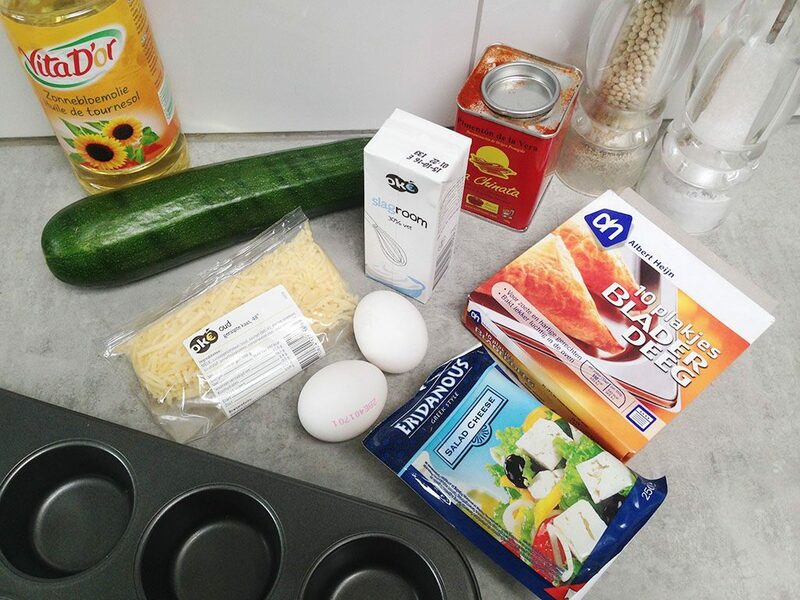 BAKE the mini zucchini quiches in the oven for about 15 minutes, or until golden brown depending on your oven. Enjoy! Large or small .. I love these quiches.